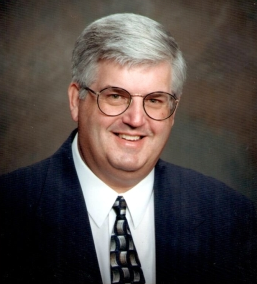 Prior to Cratty Insurance Agency, Inc., founder Michael E. Cratty worked in the insurance industry for eight years. Cratty Insurance Agency, Inc. was founded in 1986 by Mike Cratty. Cratty Insurance has been a well respected business in Galesburg, IL and the surrounding areas. They specialize in home and auto insurance while offering life, health, business, group, bonds, and farm. The family owned and operated business is now run by Mike's wife Karen Cratty. Karen is assisted by Mark Cratty, Mike and Karen's youngest son, and Heather Peters a part-time employee. Mike suddenly passed away in March of 2012. He is missed in the office as well as in the community and insurance industry. While running a business with the help of his wife, Mike also was a realtor and most avidly known for his auctioneering services. He loved to donate his auctioneering ability to any charity event. Mike's legacy lives on in the faces of his family. Mike and Karen have three children Sean, Debbie, and Mark. Sean is married to Emmy. Mark is married to Taylor. Mike and Karen have two granddaughters Hailey and Hannah and one grandson Michael. As a family business, our goal is to help your family! ©2019 Cratty Insurance Agency, Inc.